We are so happy that you have stopped by the website for The Center for Faith and Community Health Transformation! We hope that you will find many resources here that support the work you are doing to promote the health and well-being of our communities. This is also a gathering place for the faith and health movement. Post your events, find others who are doing similar work, connect through the faith and health community of practice and let us know if there are resources you’d like us to add or link to. Learn more about The Center and what drives the work that we do. This page details all of the projects and partnerships that The Center is working with. This includes services we offer to congregations and communities that can help support the work you are doing to promote health and well-being. Contact us if you have questions or want to talk about partnering. We have pages of resources and links to help you make the most of your work in faith and health, including resources for specific health topics. Nexus is our Community of Practice Gathering Spot–a place where you can keep up with what is happening in faith and health work in the region and share what you are doing with others…all in one place. Participate in Forum discussions and networks that are happening around faith and health work in the region. You can access all these features without joining Nexus, but when you join, there is more you can see and do. Joining is easy. Just create a user name and password and you’re up and running! 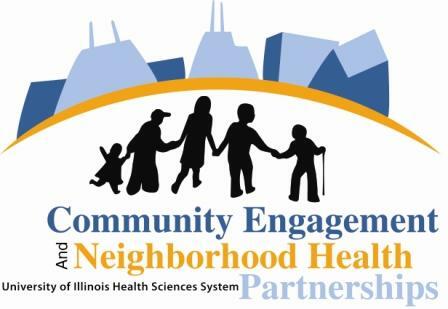 If you have questions or need help, please contact Olga at olga.wegehaupt@advocatehealth.com or 630-929-6108.